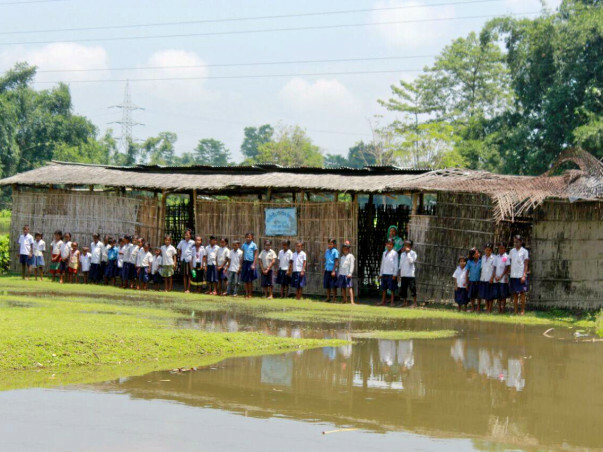 Back when we were in school, we would prepare ourselves for an essay on Assam Flood for the final examinations. That was back in the 90s and today is 2017. 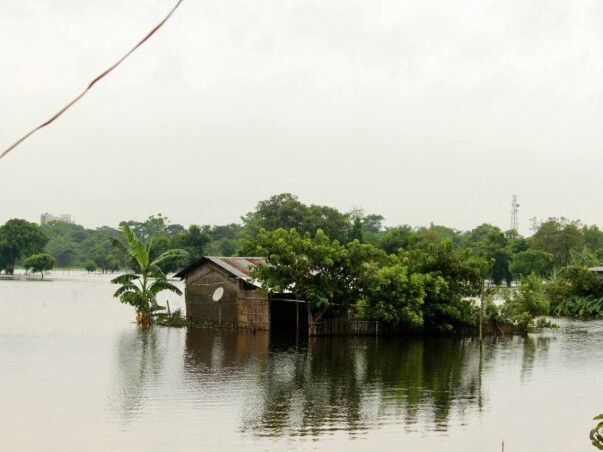 It has bee a decade since and yet the suffering of the people of Assam has not changed. Today, while some of us are enjoying the wind after a week of the hot sun, while sipping on a cup of tea some others are busy saving themselves from getting drowned in these dreadful flood. 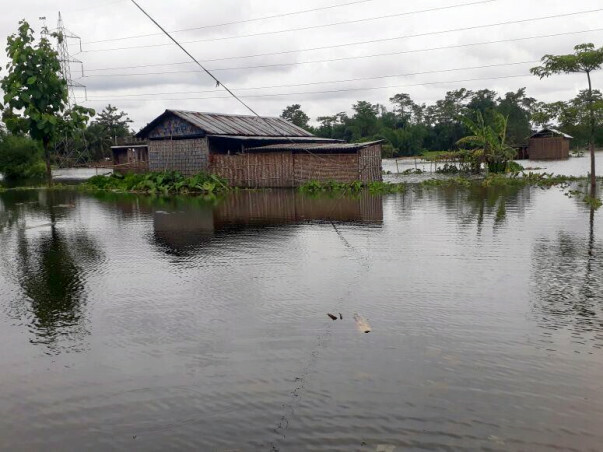 After almost 70 years has Assam seen such a terrifying flood situation which has threatened the lives of many. More than 40 people have died and the number is only growing. People are left homeless and poverty is making it worse. Some do not even have a piece of cloth to cover their body in these shivering dirty drain waters and food scarcity is making the situation worse. Women Empowerment and Development Organization (WE DO) is an initiative by a group of activists, researchers and professionals whose prime focus is to empower women, irrespective of diversity, ethnicity, culture and space, by creating awareness about their rights and helping them to understand the mechanism through which their rights are ensured by the Constitution. Apart from this WE DO also focuses on the LGBTQ community and other marginalized section of the society, trying to give them a platform where they can share their issues. WE DO connects different issues of social injustice and aims at combining activism with advocacy and research. We also focus on different social tribulations that are often laid down in darkness, from a liberal feminist perspective, conveying critical gender issues through dialogue and dissemination. We the members of WE DO, Assam in collaboration with Assam Society, Bangalore are organizing a medical and relief camp for the flood victims of Sonitpur district of Assam on 10th of August, 2017 at Godamghat village of Siloni Gaon Panchayat under Chariduar Police Station. We do not want you to give something forcefully but we expect from you to donate the little you feel like giving. As they say, "little drops of water make the mighty ocean", whatever you donate will be of utmost help to the people in need. So let us together draw away the darkness with our little efforts and give the people a light of hope to live their life with dignity irrespective of what they have lost. Contribute whatever you can. Even the rupee 1 that you contribute will give a ray of hope to the people who have lost everything. Thanks to all our donors, we were able to carry out a very successful medical and flood relief camp at Godamghat village. Two doctors diagnosed more than 300 patients of the village in just one day. Furthermore, we also provided clothes and rice as relief to the flood victims. News of our camp has also been featured in a regional newspaper named Dainik Janambhoomi. We immensely thank our donors for their kind contribution. 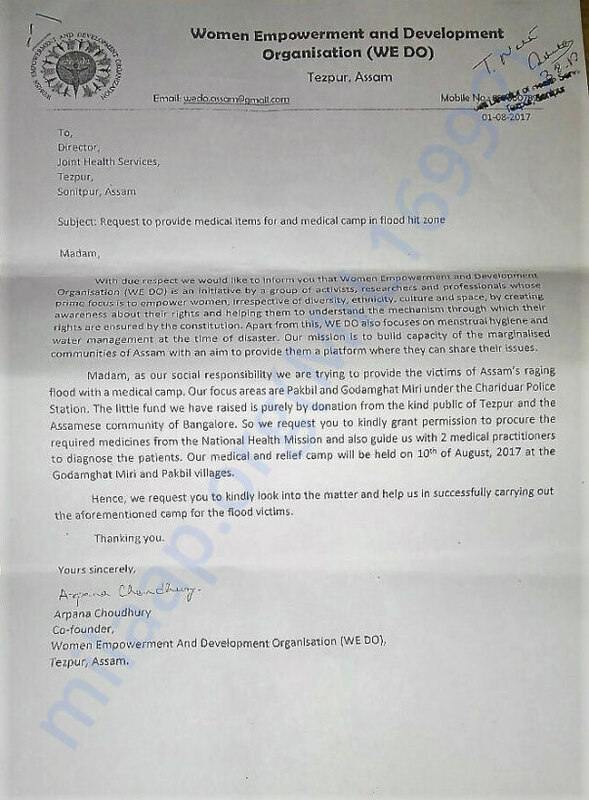 We have been able to inform the local authorities of Sonitpur district about the medical and flood relief camp on 10th of August, 2017 at Godamghat village and have been given approval for the same. 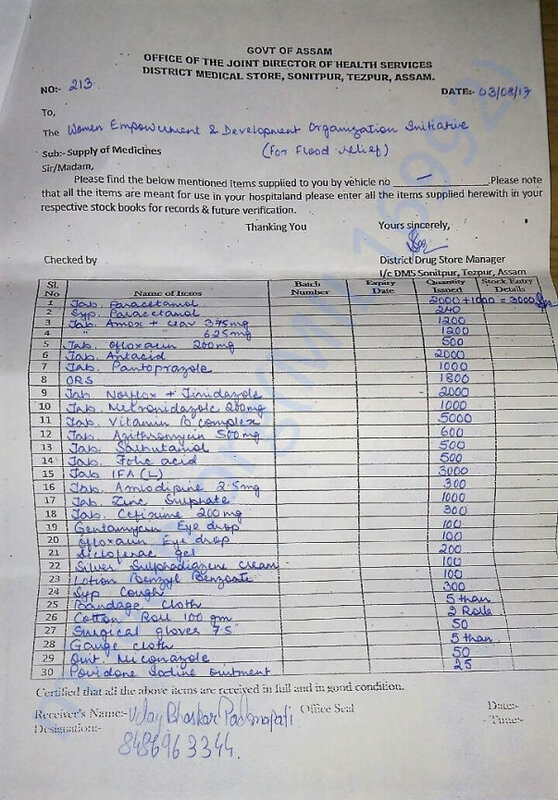 A survey of the camp site has revealed that no relief activities have taken place in the area. Now, due to the change in weather the water level has reduced. But the people are still affected. 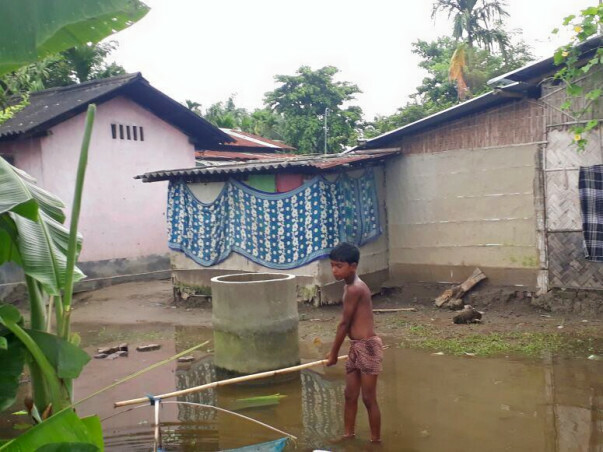 Children cannot go to school because the roads are flooded. People are getting ill constantly, but due to the dilapidated road condition, ambulances cannot reach out to them. In such a situation, a medical camp is the need of the hour. In addition ton this, we will be giving them relief items consisting of grocery items, biscuits, water and clothes. Thanks to our kind donors, we have been able to raise enough funds to conduct 2 flood relief camps and 1 medical camp for the flood victims. On the 10th of August, 2017 we have organised for a flood relief and medical camp at Godamghat Miri and Pakbil villages of Siloni Gaon Panchayat under the jurisdiction of Chariduar Police Station. On 13th of August, we will be conducting another flood relief camp at the Rupkuria Gaon of Solmara Gaon Panchayat under the Salonibari Police Station. 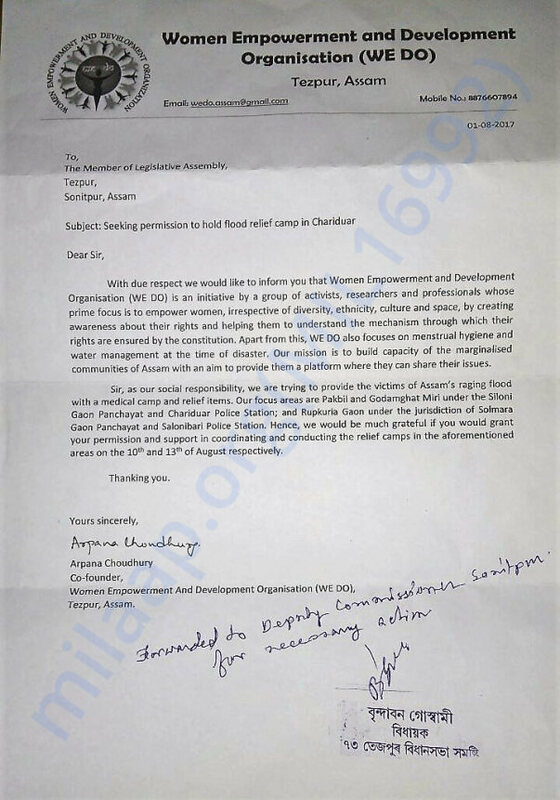 We are being provided support by the Member of Legislative Assembly, Tezpur. Both of these camps have been organised by Women Empowerment and Development Organisation (WE DO) in association with Assam Society, Bangalore.